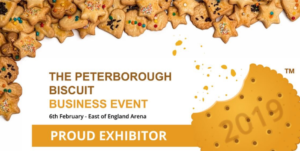 On the 6th February 2019, Peterborough will host the largest business to business event in East Anglia at the Peterborough Biscuit Expo at the East of England Arena and Events Centre. This year, we have decided to focus on back pain in the workplace as our key topic at the Peterborough Biscuit event. Why focus on back pain? Because we know that 1 in 3 people will experience back pain at some point in their lives. This goes on to affect how people “show up” at work: both physically and emotionally. In turn, this can affect the efficiency and effectiveness of employees in the workplace and in turn, the profitability within your business. In recent years, the research into back pain has changed how we think about back pain and informed our clinical practice significantly. How we manage it is changing. As a result, Prestons Health want to share this knowledge with you and the Peterborough Biscuit is an ideal opportunity to do this! Our Clinical Director, Chartered Physiotherapist Helen Preston, will be on hand throughout the day at our stand (E53) alongside other members of our team, to talk about all things back pain. We have a back pain beliefs quiz we would love you to come and take part in so we can not only challenge some established societal myths that are commonly associated with back pain (all backed up with the latest scientific evidence), but also evaluate the Peterborough Business Community’s understanding of back pain. We will be sharing our results through our social media streams after the event. By coming to visit us, we hope you will gain some understanding why what you believe about back pain is so key to recovering well from an episode of back pain: hence improving and preventing pain and disability longer term. We are talking big picture here. Evidence based, simple yet effective strategies to affect the wellbeing of your employees by looking at the whole picture of the factors can affect pain in the workplace. Even better, its cost effective and creates a happier and healthier workforce. Come and visit the team at Stand E53 on Wednesday 6th Febuary at the Peterborough Biscuit Event!